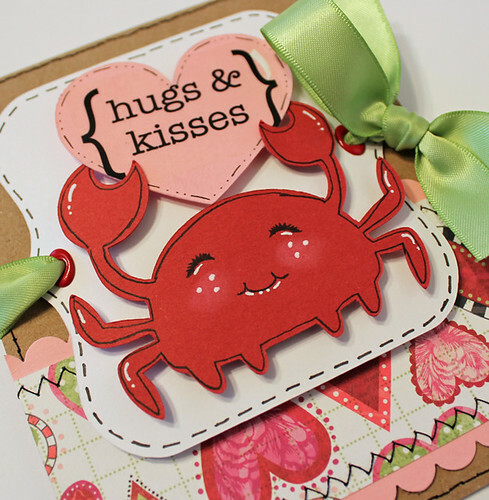 Scrapping Mommy: Fun Valentine's Day Card and Design Team Announcement!! Fun Valentine's Day Card and Design Team Announcement!! Welcome everyone!! I have some exciting news to share with you........I made the 2012 Peachy Keen Stamps Design Team!! Congrats to the new team!! I am super excited to be working with this amazing team of designers and can't wait to show you more. Right now for the announcement, I quickly threw together this card......I literally had only one hour from when I thought of making it to share with you for the announcement until it needed to be posted. I used a combination of the Princess Face Assortment (eyes) and the Wide Eyed Kids Assortment (mouth) for my stamp. The way I did this is by masking off the parts I didn't want to use and then inking it up and removing the tape before I stamped it to my image. If you want to see some more of my projects created with Peachy Keen Stamps.......CLICK HERE. Don't forget to hop on over and check out the other talented designers that made this fab team on the Peachy Keen Blog and tell them Congrats!! Congrats girl. So excited to be working with you. Omg, your card is super cute! !I just love your little crabs face..
Congratulations Amy! Your card is super cute! I look forward to working with you! ~Hugs!! Congratulations!!! So excited to see all of your creations. Have fun!!! congrats...such a cutie pie card! Congratulations! I can't wait to work with you this year! Your card is adorable! Congratulations on being selected! Looking forward for new inspiration. wonderful card! welcome to the team! looking forward to getting to know you! Wow! What a way to bring in the new year!! Congrats and I'm really looking forward to working with you on the PKS DT!! It's going to be a fun year!! WELCOME to the Peachy Family, Amy! 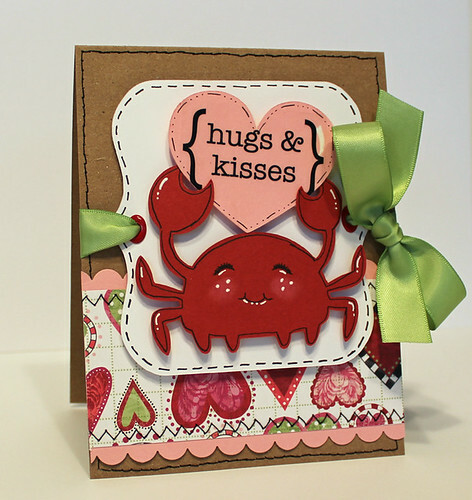 I love that crab! You are very creative and talented!! Congratulations on PKS design team your year started out with a bang! Congratulations!Love your card.Happy New Year. Cute crab! Congrats on the DT position! CONGRATULATIONS!!! LOVE all your work, and am SOOO excited to be sharing this year on the Design Team with you! YAY! So super excited to work with you! OMG to cute, And Congratultion on making the team. Congrats on making the Peachy Keen Team!! Too cute!! I'm so glad to be on this DT with you!! Can't wait to see what you create!! TFS!! Take Care!! Congratulations!! Can't wait to see all your creations:) Love your work! Oh Amy, that little guy can jump off his card and pinch me! I can't believe I am on design team too and looking forward to working with you.